In case you didn’t get the memo, January 2014 marks Pipeburn’s 5th anniversary. And what better way to celebrate that with a brand new website? What you are looking at is the culmination of more than 12 months of planning, design, coding, testing and bloody hard work. Not only does this new site make things a lot easier for us, but it’s built on the cutting-edge WordPress platform, ensuring we will be able do what we do for many years to come. 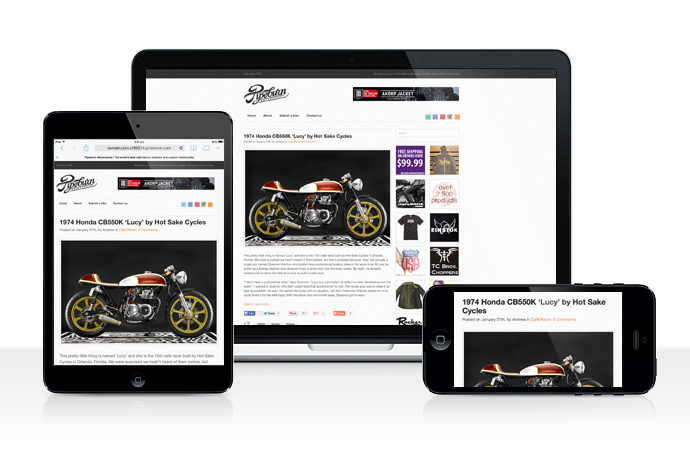 And in a first for a major motorcycle blog, we’re now fully responsive, too. Of course, we couldn’t have done it all by ourselves. We’d like to thank Chris from BikeEXIF for his sage-like WordPress advice, the silly talented Jackson Alsop for his front-end dev skills, Brandon Jones from MDNW for his amazing design and last but not least the guys at Media Temple for their patience with our never-ending questions. Something a little bit different. 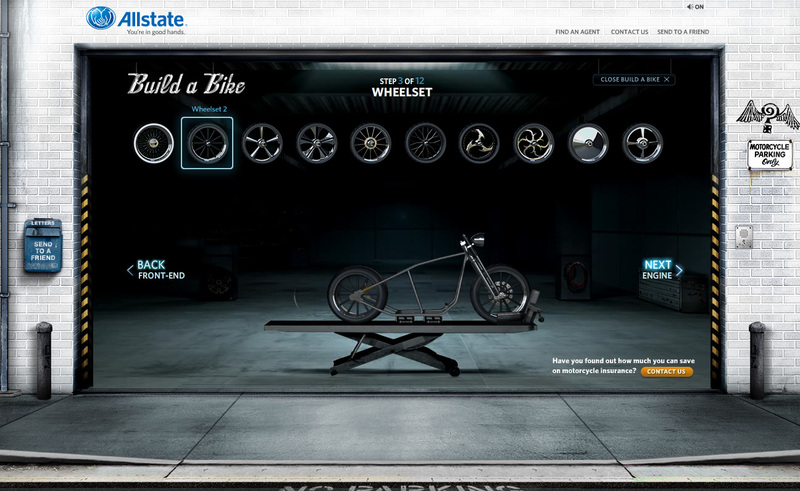 The motorcycle insurance company Allstate has designed this awesome website that lets you create your own custom bobber or chopper (sadly no cafe racer option). Choose a frame, wheels, front end, engine, paint and more. All a bit of fun for those that want to create a custom without actually getting dirty. Or print it out and make it for real.